Avail from us is a wide range of M.S. Sprockets that helps in reducing the friction between rollers and tooth. Fabricated using high quality raw material, these are renowned world wide for its dimensional accuracy and ability to resist corrosion. Further, these are available in various specifications and can also be custom made as per the clients specific requirements. Furthermore, we offer these M.S. Sprockets at industries leading prices. 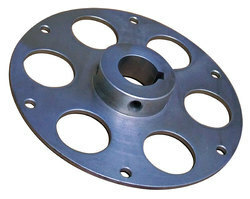 We offer Sprocket Hub that are specially designed to suit the requirements of various automobiles. These hubs are manufactured using premium raw materials that are procured from the reliable vendors. These are widely appreciated for its sturdiness, high tolerance and application specific designs. Sprocket Gears are usually connected to chains and engage them in poser transmission and conveyor systems. We use cast iron, sintered metal or carbon steel. Sprockets have low noise levels and are checked once in a month for wear. For efficient functioning they are suitably lubricated. They are highly reliable and economical for long run application. 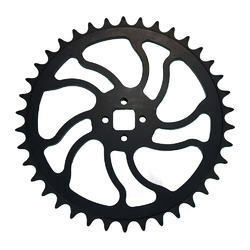 A perfectly engineered range of optimum performance Simplex Sprockets are being offered by us. Looking for M.S. Sprockets ?